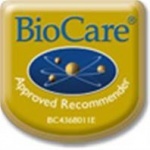 BioCare BioMulsion OmegaBerry - High potency fish oils in a liquid berry& fruit base. EPA, DHA & helps support intake of Supplements & Antioxidants from fruit & vegetables. 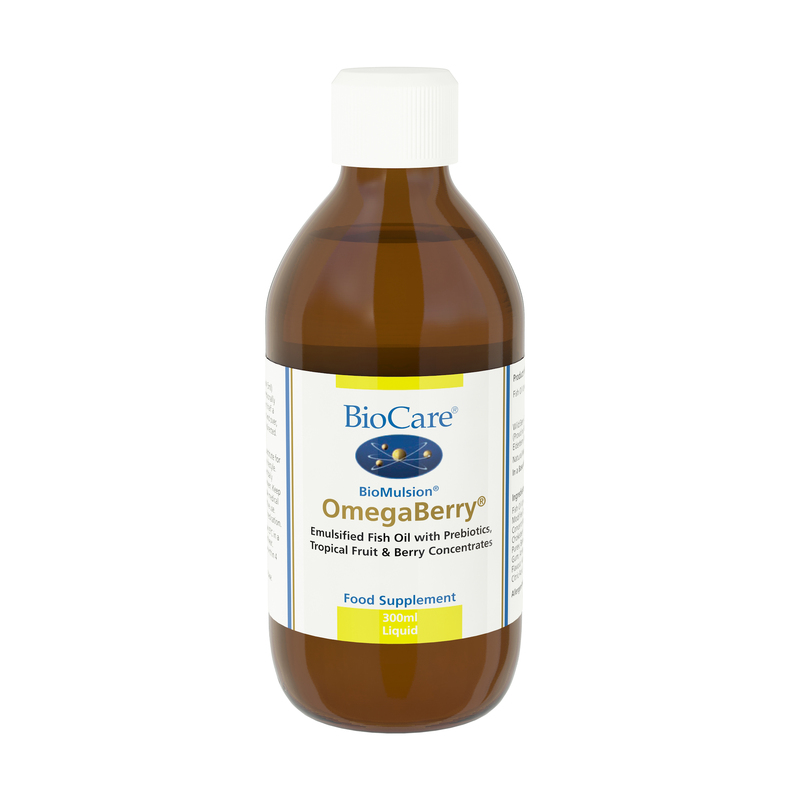 OmegaBerry provides high potency fish oils in a mouthwatering berry and fruit base so it can be taken directly off the spoon without the undesirable after taste of fish, making it ideal for children. If you really want to match the type of dose used on many of the big trials, this is an excellent product but again as it is a liquid, be careful of how you store it. One 10ml spoon provides 875mg EPA/DHA so you could actually give your child a little less on the spoon. It is flavoured with fruit purees. Fish Oil Concentrate 1, Concentrated Pineapple Juice, Corn Starch, Wager, Fructose, Wild Berry Concentrate (Blackcurrant, Elderberry, Blueberry, Chokeberry & Apple), Concentrated Orange Juice, Mango Puree, Banana Puree, Alginate, Vitamin C (as ascorbic acid), Natural Pineapple Flavour, Prebiotic Acacia gum, Natural Vanilla Flavour, Natural Mixed Tocopherols2, Sunflower Oil, Potassium Sorbate. For children between 2-5 years: half a teaspoon (approx. 2.5 ml) or as professionally directed. For children 5-13 years: one teaspoon (approx. 5ml) daily or as professionally directed. Older children and adults: two teaspoons (approx 10ml) daily with food, or as professionally directed.